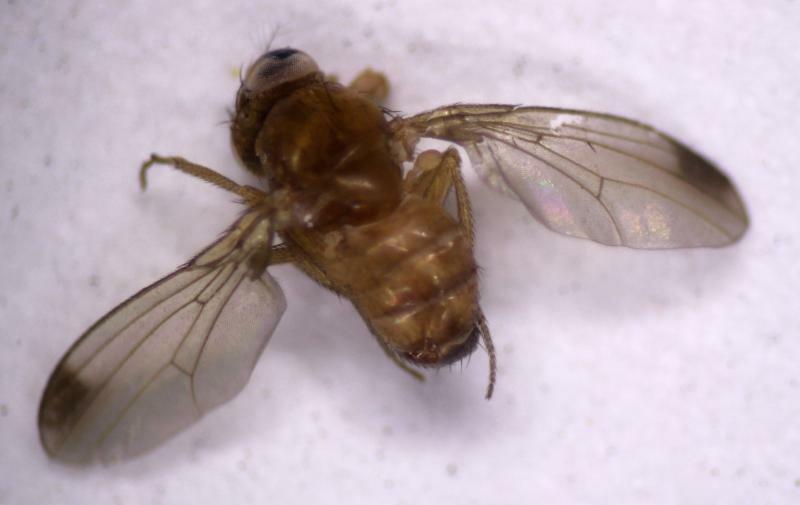 South Dakotans are seeing a new type of fruit fly. The spotted wing drosophila also known as the two spotted fruit fly came from Asia to California in 2008 and is spreading rapidly. It was first discovered in South Dakota last year. Mary Roduner is an entomologist with South Dakota State University’s Extension program. 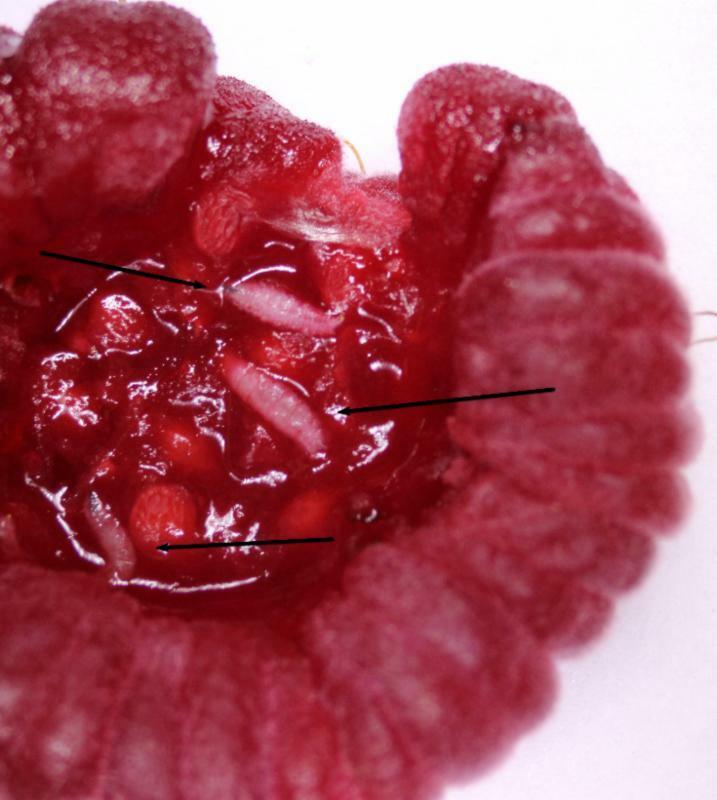 She says these female fruit flies are attracted mostly to ripe fruit. “The female of this particular species what she does is punches a hole in the fruit that’s almost ripe and she lays her egg inside the fruit, and she lays many many many eggs inside the fruit, and within depending how warm it is outside within 24-48 hours those eggs hatch and generally within 72-96 hours the fruit is collapsing,” says Roduner. Roduner says the fruit turns into a jelly like mass and is filled with tiny white maggots. She says the most popular fruits are raspberries, cherries, strawberries, and peaches. Roduner says controlling the two spotted fruit fly is challenging. She says for the best control growers should remove any fruit that is ripe or overripe.